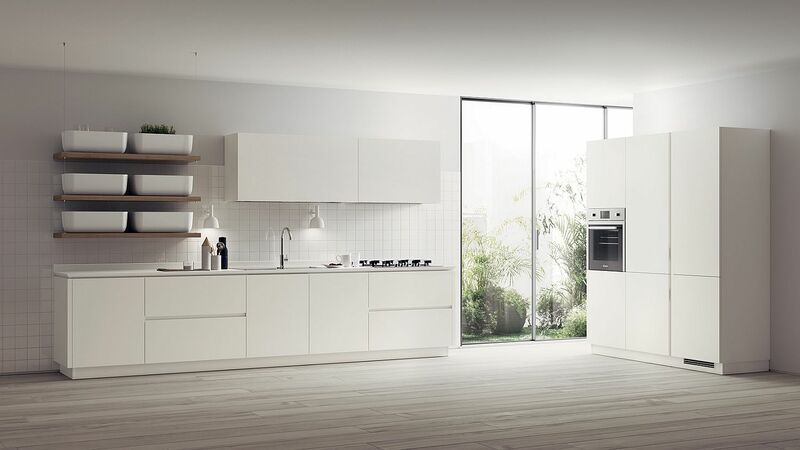 Looking for a kitchen that is truly minimal at its heart? 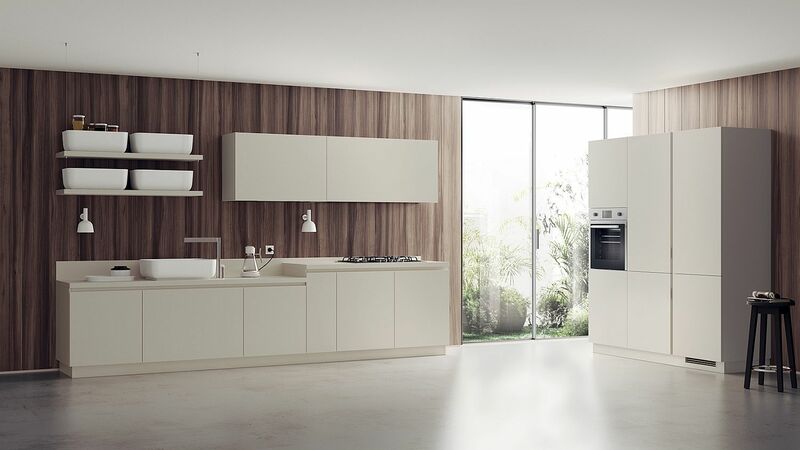 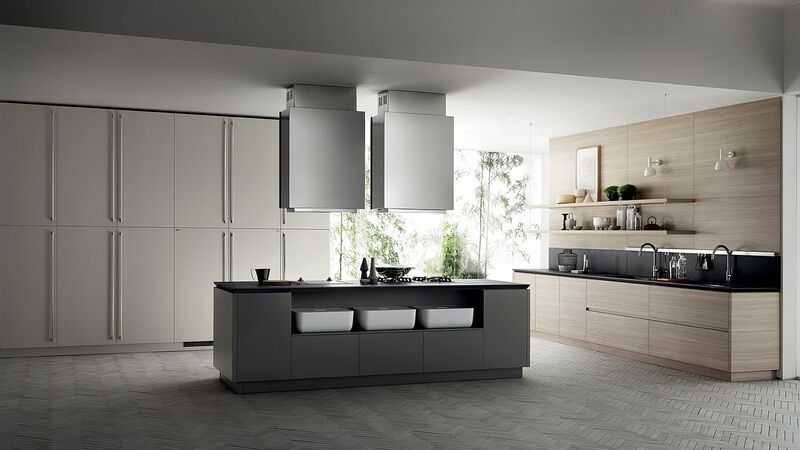 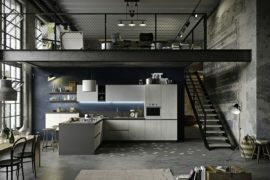 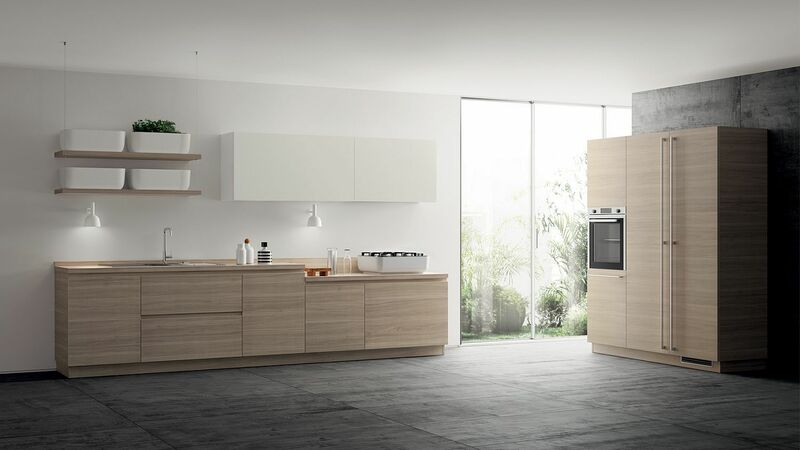 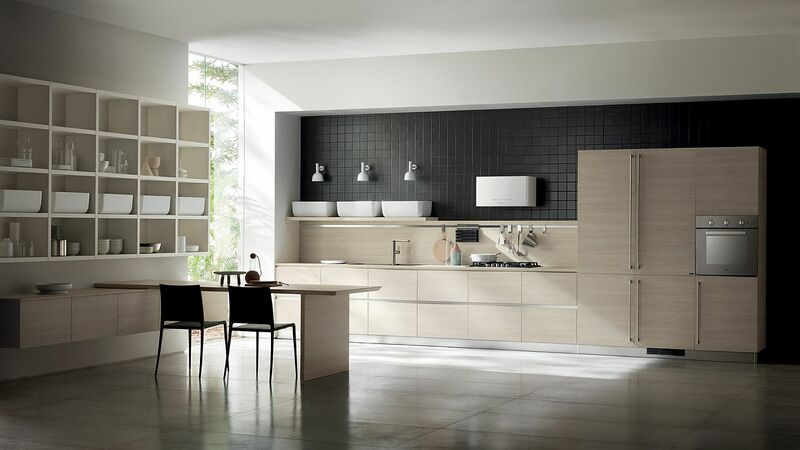 Your search surely ends with the simply stunning Qi designed by Nendo for Scavolini! 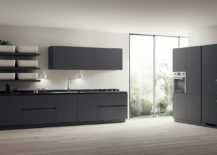 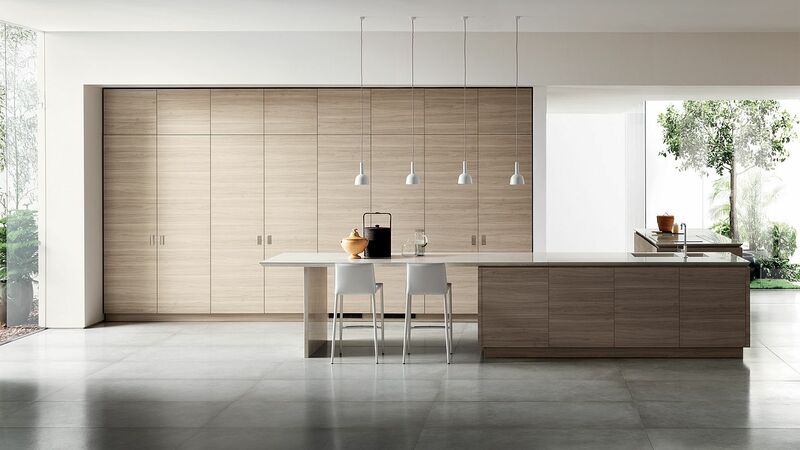 A modern masterpiece that imbibes the traditional, minimal dynamics of Japanese design, this state-of-the-art kitchen is all about doing away with mess and creating a polished and functional kitchen that is perfect for the contemporary home. 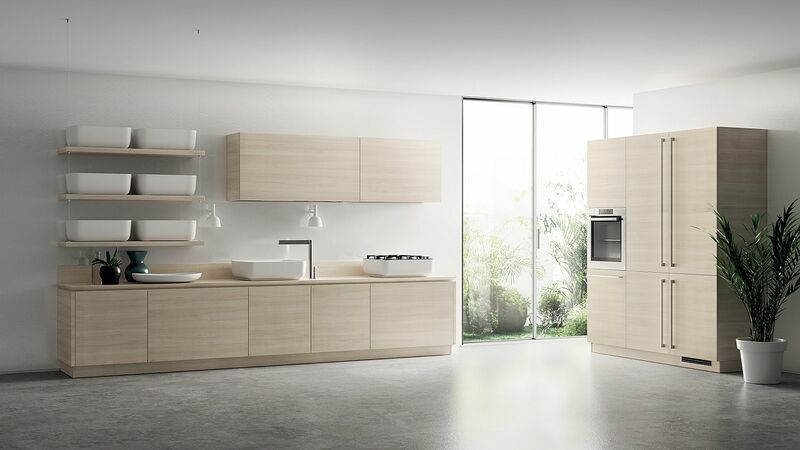 Straight lines, a clean finish and curated wooden surfaces ensure that the Qi is both inviting and refined at the same time – a task that is hard to pull off at the best of times. 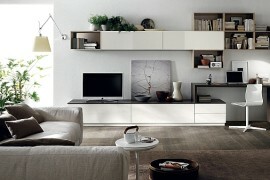 The word ‘Qi’ in Japanese means a white container or storage unit. 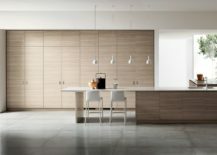 It is barely a surprise then that the kitchen is filled with white, bowl-styled storage units and closed wooden cabinets, which tuck away all the kitchenware and appliances. 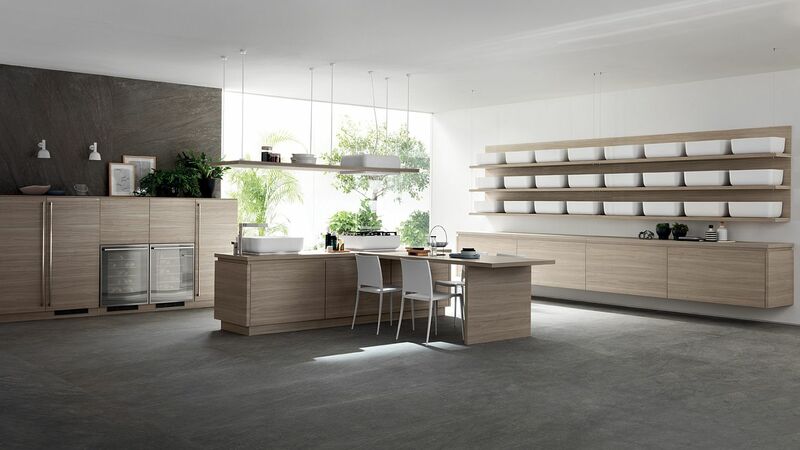 The entire kitchen here seems like a monolithic unit with one area flowing into the next. 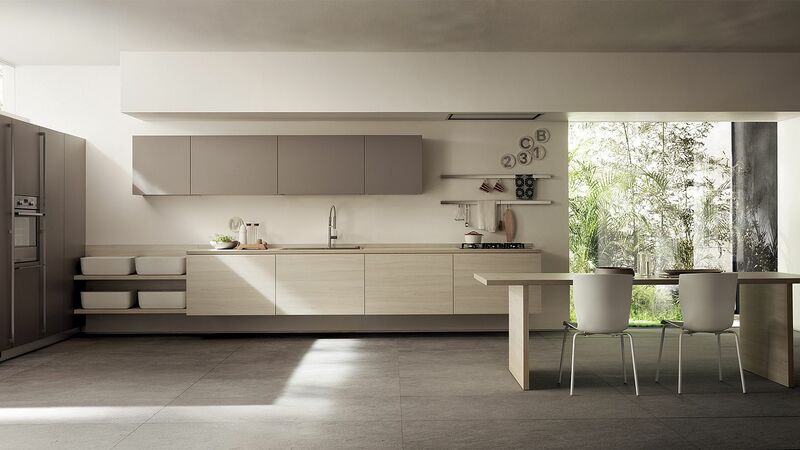 Even the dashing island at the heart of the kitchen plays into the overall thematic and diverse compositions ranging from the classic, L-shaped corner kitchen to the open, contemporary kitchen fit into this minimal design schematic. 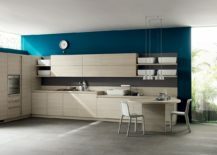 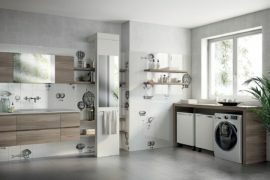 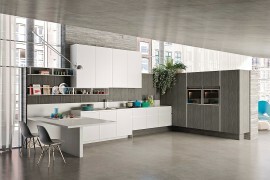 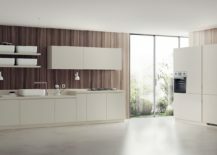 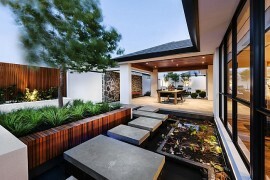 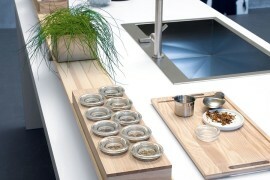 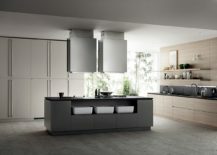 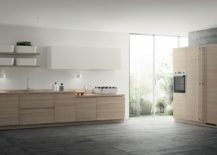 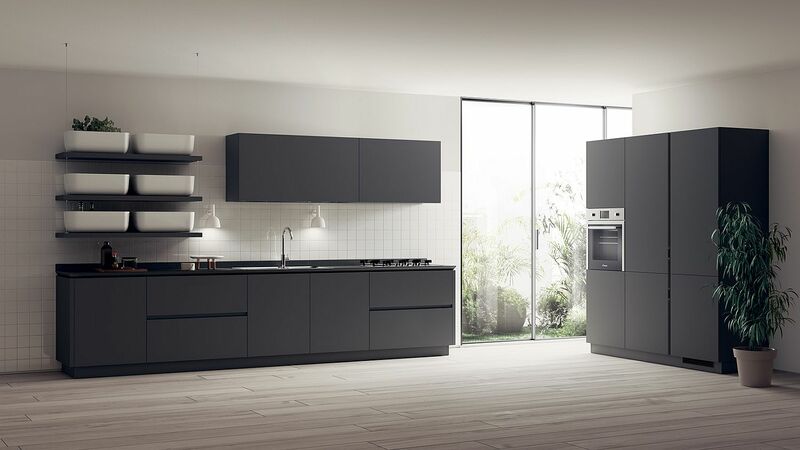 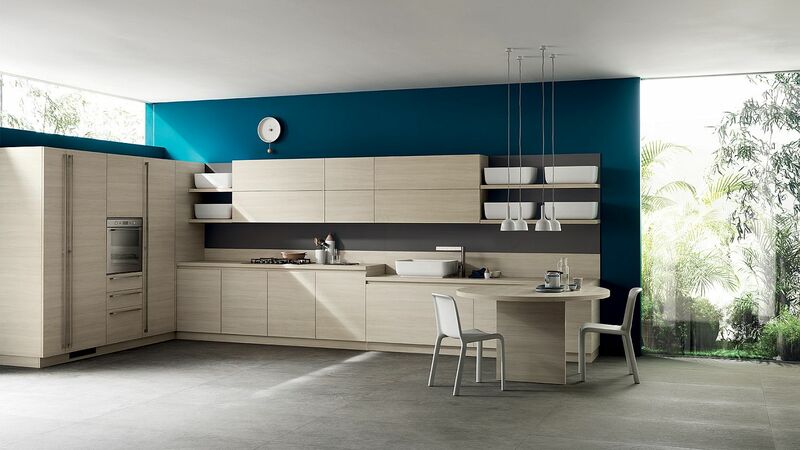 Qi is a great kitchen for the small urban home where one needs to find greater visual space. 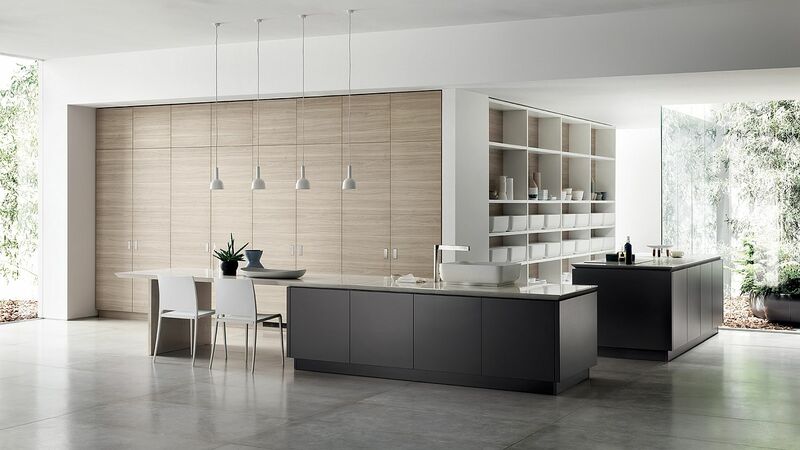 Providing versatile organizational solutions and space-savvy storage units, this sophisticated kitchen is definitely for those who love minimalism at its cultured best. 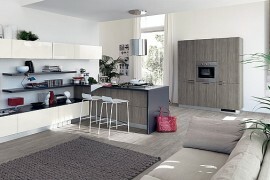 Of course, you can always add warmer, more inviting layers to it with both décor and accessories!